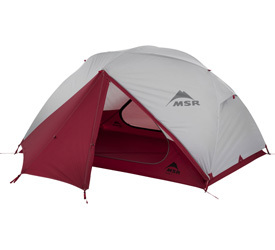 MSR has long been a trusted partner of well-respected humanitarian organizations and NGOs working in developing nations and disaster relief. These groups turn to us for our technical expertise in creating low-cost water treatment solutions designed specifically for long-term use in low-income countries. Just like our renowned outdoor equipment, our global health technologies, safe water projects, and partnerships are built to last. Working directly with community members, our partners provide MSR technologies as well as the education and follow-up visits necessary for sustainable change. Because one solution doesn’t fit all, our partners identify the best project for each community. This comprehensive approach empowers communities with the independence to control their futures and their health. In 2018, MSR and our partners started dozens of new safe water, sanitation, and hygiene projects worldwide, laying the foundation for sustainable impact that will better the lives of thousands of people worldwide. Here’s a look at the projects and programs we launched in the last year. While MSR has helped over half a million people gain access to safe drinking water, we recognize that 2 billion people worldwide still drink from a contaminated water source. Technologies, like MSR’s Community Chlorine Maker, can help change that, but they, and we, can’t do it alone. Make a donation to support safe water projects around the globe. Host your own fundraiser for safe water and hygiene projects. Travel with MSR’s Adventures for Impact trips, which combine a spectacular remote adventure with the opportunity to participate in safe water projects in local communities. Annually, an estimated 10,000 Nepalese children under the age of five die as a result of water- and sanitation-related illnesses. In May 2018, Nepal’s Ministry of Health issued a public statement warning of a waterborne illness epidemic in the lowlands of the Terai region. On the heels of this announcement, MSR’s partners at Clean Drink Adventures launched new safe water projects in this 100-square mile region with more than 1,200 people. 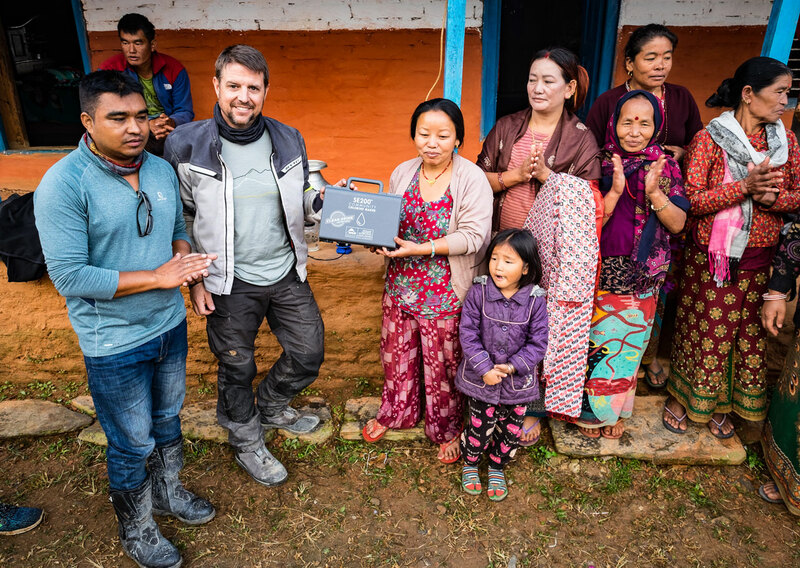 Clean Drink Adventures specializes in working with hard-to-reach regions in Nepal, where they coordinate with local guides and community leaders to provide training and education along with MSR Community Chlorine Makers. 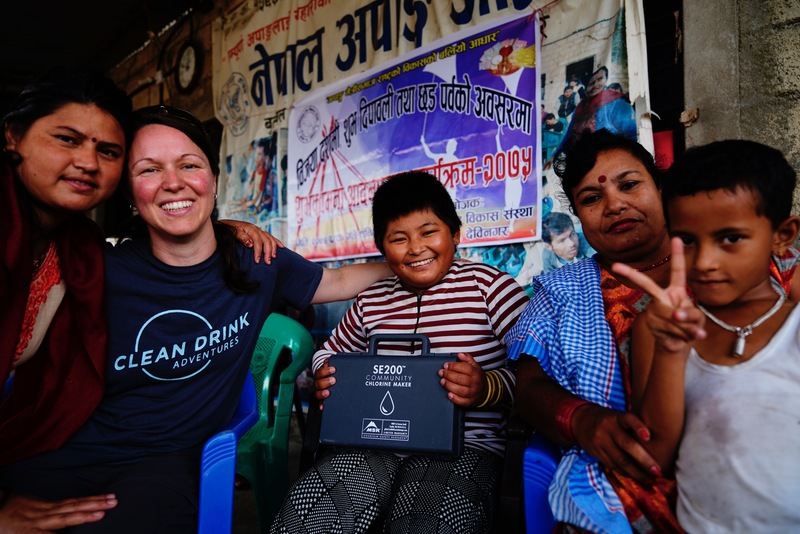 In 2018, the small but mighty Clean Drink Adventures team started dozens of projects like the Terai project, helping thousands of people acquire long-term access to safe drinking water. Beyond Nepal , we expanded our reach in dozens of countries worldwide. 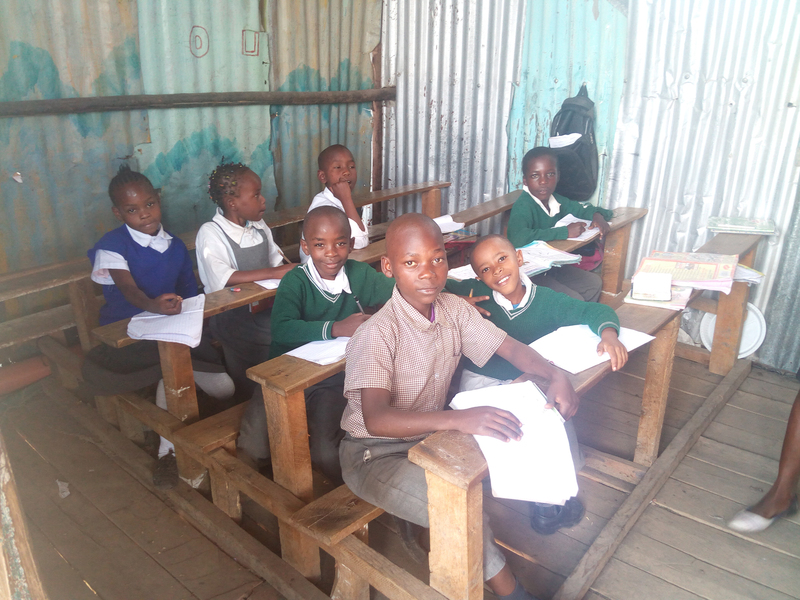 Thanks to the support of generous donors from the MSR community, the New Beginnings School Project in Nairobi, Kenya, was fully funded to rebuild the education center—the students’ main resource for safe drinking water. Heavy flooding had severely damaged the small school. But with its structure safe once again, the school can refocus on providing those vital resources. In rural South America, chlorine can be difficult to find and a trip to acquire it can take between four to six hours. With help from Gloves Go Global, the MSR Community Chlorine Maker is changing that, allowing health clinics to create their own chlorine on the spot for disinfection of medical instruments and surfaces. Gloves Go Global’s mission is to empower rural health clinics in developing countries with the tools and education needed to reduce disease transmission. Without chlorine, rural clinics can spread disease during births, surgeries, and other procedures. After Guatemala’s Volcán de Fuego erupted on June 3rd, nearby villages were buried under pyroclastic flow and toxic gases filled the air. After the immediate danger had passed, survivors faced a new challenge: routes that were previously used to access food, fresh water and other necessities were destroyed. 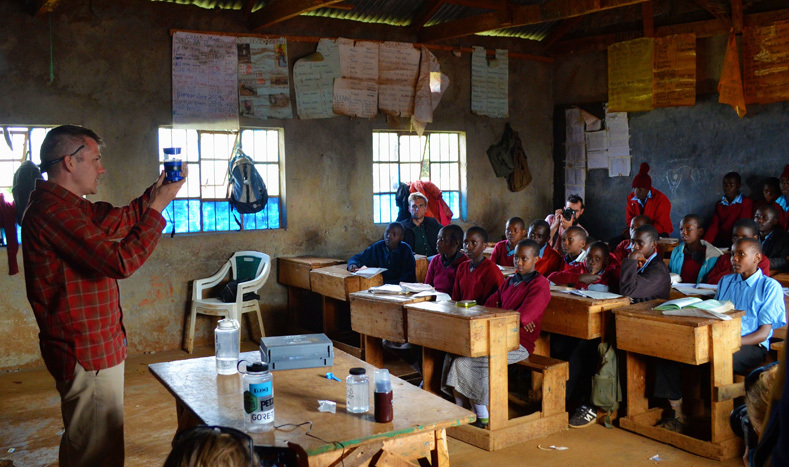 MSR’s partners at Operation Blessing International stepped in quickly to implement MSR Community Chlorine Makers with Samaritan’s Purse, empowering these communities to create their own safe drinking water. On the other side of the world, an Ebola outbreak was detected in the Democratic Republic of the Congo (DRC). In our highly interconnected world, a single outbreak such as this can quickly become an international threat. MSR’s partners at PATH worked quickly to deploy the Community Chlorine Maker, providing global health organizations in the DRC with the ability to create chlorine on the spot for sanitation and disinfection. Chlorine is powerful enough to kill disease-causing microbes, preventing the spread of diseases such as Ebola. This outbreak was successfully contained. Here in Seattle, our world-class research and development lab has been hard at work. 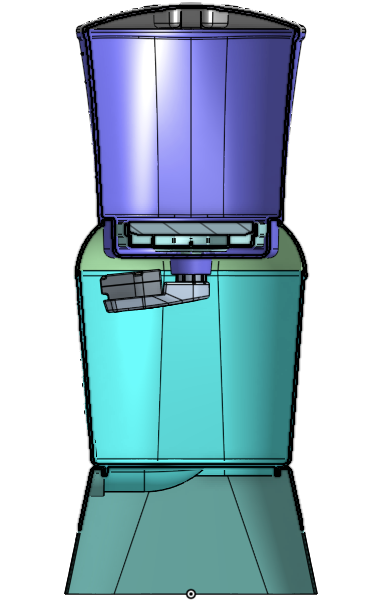 The team continues to make strides on low-cost handwashing stations, a futuristic toilet, and an automatic chlorine doser for safe water at the tap. MSR’s R&D lab was also awarded funding by the Humanitarian Innovation Fund for the creation of a household water treatment system. These futuristic technologies draw on all we’ve learned over the past 50 years in research and development. With our like-minded partnerships, your support, and our continued efforts, we’re confident we’ll help even more people live better lives in the coming year.